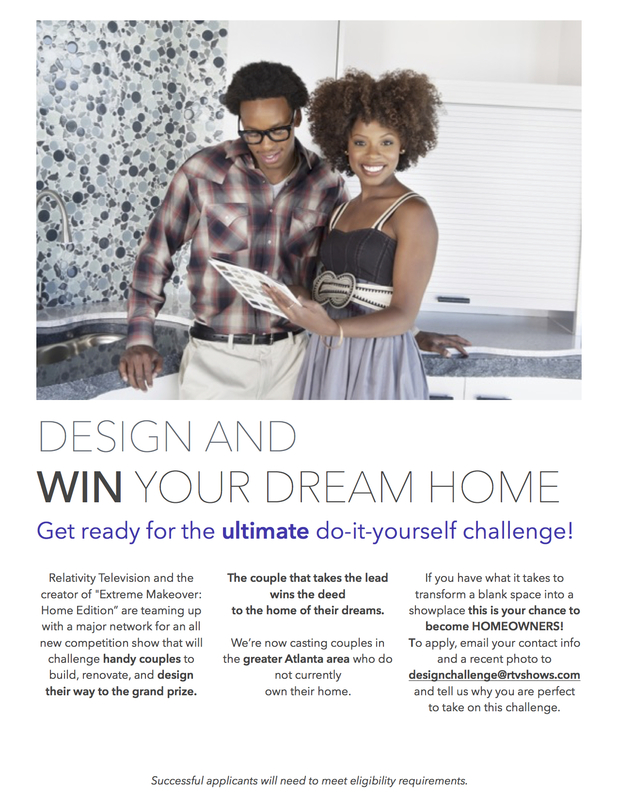 A new competition reality series is giving couples the chance to make their dream-home a reality. The series is from Relativity Television and the creators of “Extreme Makeover: Home Edition,” – and they KNOW how to make dreams come true. Couples chosen for the show will live together for eight weeks, and tackle a series of renovation and remodeling challenges for their shot at the grand prize…the mortgage-free home of their dreams. If you think you’re the team to beat, go to DreamHomeCasting.com, where you can also register for the show’s open call or contact the producers for more info on the show.